While you and your operations team probably already go over your property’s annual income reports, you might want to consider going more into depth. 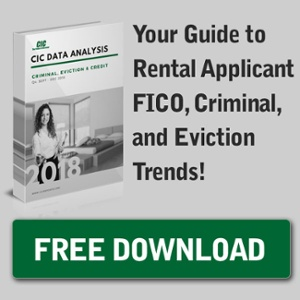 If you notice a high delinquency rate or an income variant, you’ll want to check if the numbers coincide with when you hired the onsite manager or a particular staff member. Although the loss is not as significant, having someone audit maintenance orders can prevent your staff from overspending (even if it’s by accident) or spending on unrelated, unnecessary parts or items. The two property managers were able to embezzle money because the property management software allowed rental amounts to be changed easily and without record. Find out if your current software allows this and consider who has access to this part of the software. To prevent employees from taking advantage of this feature, consider switching to a protected software like iRent, which requires rental amounts to be approved by you or a staff member with a high-security clearance every time they’re changed. Additionally, using property management software that automatically processes late fees can not only save your employees time, but avoid managers that wave off fees out of favoritism. While this might seem like a minor infraction, you could be losing thousands of dollars per month simply because the property manager is trying to do a nice thing for your residents. Of course, one of the best ways to avoid any sort of employee trouble at the get go is to utilize quality employment screening. Without employment screening, you put yourself and your property at risk right from the beginning. To make sure your staff hasn’t been involved in any illicit activities after you’ve hired them, consider implementing annual employment screening offered by CIC. By incorporating these preventative steps, you’ll be able to ward off employees that would want to take advantage of your business. However, if you do discover an employee embezzling, be sure to 1) collect as much evidence as you can, 2) consider contacting the police, and 3) contact your lawyer about what legal actions you should take. Learn more about hiring reliable, trustworthy employees by using CIC’s employment screening. How do you try to prevent this? Have you heard any stories about extreme cases of embezzlement? Share you experience in the comments section below & be sure to subscribe! Check out these other great articles to help protect your business! Are Applicants Giving Your Fraudulent Paystubs? Are Residents Listing Your Property on Airbnb?